As The Elemental Grace Alliance is now automatically, exponentially and magnetically attracting and establishing itself as a Recognizable Presence, there is a need for a greater dedication, commitment and devotion for Inner, Outer and Higher Consciousness Governance. For this reason, we have reached that point of this Divine Manifestation, whereby we needed an indispensable and essential Core Group of Dear Souls to Establish and Co-Create a materially effective and energetic efficient Administration. 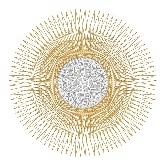 This Volunteer Group has now been Acknowledged and hence, has become responsible for the overall Administrational, Operational, Directional and Managerial aspects and facets of the Elemental Grace Alliance Divine Plan. This includes, but is not limited to, the modalities of executive decisions of all Directives for the Purpose of The EGA’s Creative Growth, Development and Multi-Directional Plans and Endeavours. 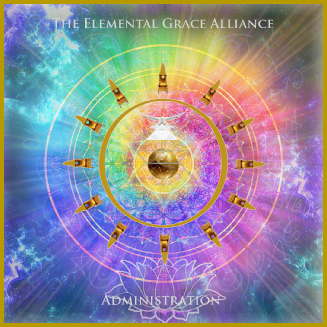 This Volunteer Administration is Over Lighted by the Presence of the Entire Company of Heaven, which includes not only the many Divine Beings of Shamballa, The Hierarchy and Higher Humanity as the One, but all those who have a vested interest in the Earth and Human Evolution here; watching the activities of the entire Council of The Elemental Grace Alliance, and Who have All Pledged Their Allegiances to this very specific Divine Plan. The present Acknowledged Volunteer Members of the EGA Administration may be contacted through the email below. God Bless You! 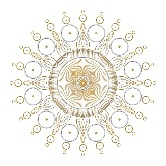 All new forms, if they are ultimately to carry weight and gather adequate momentum to carry them through their life cycle, must be built in Silent Subjectivity, in order that the building may be strong and sure and the Inner Contact with the Creator (human or Divine) and True Conformity to the Pattern may be substantial and unbreakable. This is True of a Universe, a Kingdom in Nature, or a thought-form created by a human thinker. In all form building, the technique of construction remains basically the same, and the Rules and Realizations may be summed up in the following aphoristic phrases. Let the Creator Know Him/Herself to be the Builder, and not the building. Let Him/Her desist from dealing with the raw material on the physical plane, and let him study the Pattern and the Blue Prints, acting as the Agent of the Divine Mind. Let Him/Her use two Energies and Work with three Laws. These are the Dynamic Energy of Purpose, Conforming to the Plan, and the Magnetic Energy of Holy Desire, drawing the Builders to the Centre of the Endeavour. Let these three Laws hold sway, the Law of Synthetic Limitation, of Vibratory Interplay, and of Active Precipitation. The one concerns the Life, (the thought form), the second concerns the Building, (Blueprints, The Elementals) and the third Produces Manifested Existence, (Substance, The Devas). Let Him/Her deal first with the Outer Builders, sending His/Her call to the periphery of His/Her Circle of Influence. Let Him/Her set the Ethers of Living Substance in motion by His/Her idea and impulse, bending the Builders to His/Her Purpose and Plan. Let Him/Her build with acute discernment and with knowledgeable skill, preserving always the "stool of the director" and coming not down into close contact with His/Her thought-forms. Let Him/Her Plan, in time and space, His/Her form through visualization, meditation and skill of Love in Action, and so Produce that which His/Her Will Commands, His/Her Love Desires, and His/Her Holy Need, Necessitates and Creates. Let Him/Her withdraw the Builders of the Outer Form, (Elementals) and let the Inner Builders of Dynamic Force (Devas), push it forth into Manifestation. Through the Inner Eye of the Creator are these Inner Builders brought to Functioning and Directed Into Action. Through the Word of the Creator were the Outer Builders Guided. Through the Ear of the Creator the Volume of the Greater Word Vibrates through the Ethers of Space. Let Him/Her remember the Order of Creative Work. The Ethers of Space Respond to the Word. The Builders Build. The Cycle of Creation ends and the Form is adequate in Manifestation. The Cycle of Performance succeeds and depends for its duration on the potency of the Inner Builders, who constitute the Subjective Form and Their abilities hold concentration to Transmit the Vitalising Life Forces. Let Him/Her remember that the Cessation of the Form ensues when purpose is achieved, or when impotency of will produces failure of functioning in the Cycle of Performance. The Keynote of all manifestations, whether human or Divine, is to be mindful of one’s thoughts, words and actions. For whatever the mind projects forth, it will make manifest in accordance to those projections. Therefore, harmful magnetic conditions, will be the result of mankind’s wrong handling of the Universal and Natural Life Forces that make manifest, and hence are the causes of all negativity in the world. We, herein the Elemental Grace Alliance, place Harmlessness at the top of all our desires to make anything manifest, to try and eliminate as much as possible, that could potentially bring harm to anyone or anything, in any way! Harmlessness in thought shall bring control of speech. Harmlessness of emotional reaction, shall bring a channel of Love to the Soul. Harmlessness in action, produces poise, skill in action and the release of very powerful Creative Will. 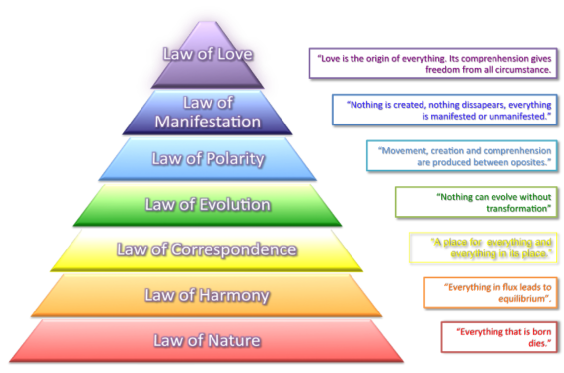 The Law of Harmlessness is a wonderful Guideline to base any creation upon, human or Divine! Therefore let us all be Harmlessness in all we think, speak and do! And So It Is!